Nils Forsblom is not new to the startup world -- in fact, his last startup, Fruugo, raised an astounding $48M in funding, and became one of the most heralded--and controversial--startups in Finland. Forsblom is now in Los Angeles and San Diego, and reinventing himself with a mobile application company called TenFarms (www.tenfarms.com). We sat down with Forsblom to learn more about what he learned from his experience in Finland, and what he's hoping to do here. What are TenFarms and PhotoPoll? 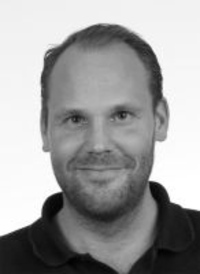 Nils Forsblom: TenFarms is a mobile app developer. We build mobile products, not just mobile applications, but products around them. PhotoPoll is our first app to push live, and now we're working on our second app, AdTile, which is a mobile advertising solution for applications and mobile software. What we do, is I identify things and start defining features around ideas. We are in Los Angeles and San Diego, and I go between the two cities. Everyone from our team is from Finland, one is from Portugal, and we come and go between California and Finland. How did you end up here in Southern California? Nils Forsblom: Back in 2004, I met a girl when I was here on vacation. We started dating, and actually got married. I then went back to Europe to create a company called Fruugo, which was a big startup back in the day, in 2006 in Europe. Obviously, we got lots of influential people and money, and hired a ton of people. In 2009, I got my green card and decided to move back here. Later on, I got divorced, and I'm now pursuing my dream of building a global, mobile company. So you're making multiple applications? Nils Forsblom: We're not in the business of making apps, just to make an application. We want to create something that serves a purpose, has a unique design, and is fairly simple to use, and where people can understand what that app does. They're very utility based apps. Obviously, building an app is not just an overnight thing. We put lots of efforts and time into making something really unique. We have a couple of different ideas in the pipeline, and have filed patents in our unique way of showing advertising on a very small screen. Your last company, Fruugo, was quite controversial for the amount of money it raised and a spectacular flameout. What happened there? Nils Forsblom: The original idea for Fruugo came when I was living here in the U.S. I saw Amazon.com, but knew that Amazon.com had no presence in Finland. Back in the day, when you went to Amazon, you ended up at Amazon Germany, where everything was in German, and prices were in German Marks. You had a hard time buying anything. I saw a huge opportunity to claim a foothold in Europe, with a borderless marketplace like eBay, without the bidding system, and create a trans-European marketplace. The more and more we looked into the idea, we saw there was a huge market for retailers. We gained investors, and got a couple of guys on board, and eventually the chairman of the biggest company in Finland, Nokia, became an investor. A founder can only blame them self, but what went wrong, is hiring the wrong people, getting the wrong investors. You can only blame yourself for the outcome, but I can't take the blame for the amount of money that we spent, because I was never in charge of that. It was the guy we'd outsourced as CEO. I was basically powerless. When we signed our first investor papers, I gave my rights to the investors, and they ran the show. That was my biggest mistake, giving those voting powers to the investors and basically just being an employee of the company. Has that changed how you've structured TenFarms as a startup? Nils Forsblom. I never call myself a startup, I don't understand that word. I intend to run this on a low cost basis. Though, we need the best people, and how you hire them is to give them a stake in the company. We have four guys who have come up with the products we have, which is pretty remarkable. We do have some investors, and we have our own money, but most of it is my own money. I learned my lesson, and I own 70 percent of the company. Where are you with your first app, Photopoll? Nils Forsblom: We launched a month ago. It's a lifestyle application, and a social application, not a photo application. Ninety percent of the photos on Photopoll are not taken with a portable camera, instead they're from a library of images, Instagram, and other social sources. So far, from all the users we've gathered--we're still under 100,000 users--fifty percent open the app every week, and twenty percent open the app every single day. Sixty percent of the users who open the app every single day are opening it eight times a day. The average length they use the app is two minutes, which is remarkable. What's the key part of the app? Nils Forsblom: It's the voting. We have 200,000 individual votes so far. If you look at services like Twitter, there are a lot of users who don't post, but read a lot. It's the same thing for our app. Only a few people posts polls, but people who have active accounts might vote maybe 300 times. In a way, it's like Pinterest, people want to like stuff, and love looking at beautiful things and engaging in different ways. So far, seventy percent of our users are female, and we've obviously hit the nail on the female segment of users. The app is simple to use, and if you think about photo polling apps, they tend to be very data oriented, reporting how many females or males like things. But we find that people between 15 and 25, our user base, are not interested in data sets. The average girl does not have any interest in data, the average boy does not have interest in data. Instead, what they want is a great user experience and engagement, and to discover new things. That's what we're all about. I think we have the mix somewhat right for now, and have some wonderful features in our next update to make things better. We've noticed many international entrepreneurs locating here recently, like yourself. Why did you decide to locate in Southern California? Nils Forsblom: Silicon Valley tends to be shortsighted, and only looks at the current trends. We don't see ourself as a startup, and are aiming at creating a company that is self sustaining. If you look at Silicon Valley, lots of the things there are based on hype, and based just on the money that you can gather. I think, for Southern California, it provides much more freedom to design and build new things. In Silicon Valley, right now there are lots of apps being create just because it's the trend right now. I don't think you should follow Silicon Valley. Southern California is very good for creativity.